Is Work For The Dole working? Our Ambassador, Paula Duncan's new role! Are you an accidental trainer? Are you considering a new career or would you like a promotion in 2015? Then consider studying with the SVM. The SVM offers a range of qualifications and public PD workshops that can enhance your career. 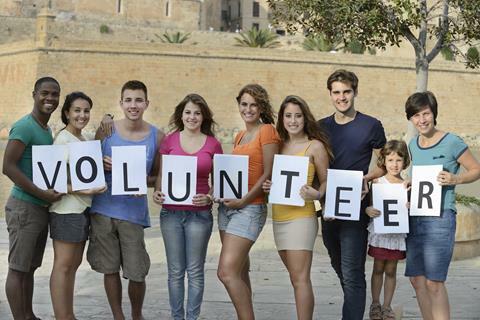 2015 is shaping up to be a big year for the volunteering sector. I know many members had a challenging start to the year following changes to DSS funding arrangements. Continuing to deliver and grow services to our clients is a priority and we look forward to working with you to acheive that. We want to understand the impact of funding challenges and how we can help work better together to share knowledge and resources. To that end, we held our first networking event today where expert speakers addressed this very issue. We looked at different collaborative models to help NFPs survive in a more competitive funding environment. Thank you to our speakers, who are pictured in this edition of the Voice. Work for the Dole (WFTD) is another issue many members are concerned about. A number of our members are involved in the trial; others are declining to place WFTD participants due to concerns about the impact on their volunteers and the administrative impact. The Centre will shortly send you a link to a survey on WFTD. We urge you to complete it and tell us your views, concerns and any exoeriences you have in the trial. We want to advocate for you and understand what resources might help you when WFTD is introduced. Volunteering Australia will release an issues paper this week highlighting the need to update the current (1996) definition of Volunteering in Australia. The definition excludes many types of volunteering that are common today including corporate, online and informal volunteering, as well as volunteering for government organisations such as museums. The issues paper can be viewed here from Friday 27 February www.volunteeringaustralia.org VA will also launch an online survey on its website next month. New draft standards have been developed to help ensure best practce in the engagement and management of volunteers. Your feedback is vital to help test and refine the draft standards before they are finalised. The Centre will invite you to consultation forums - many of which are in regional centres - starting from mid-April. I look forward to seeing you soon and working on ways to address the important issues affecting our sector. We have the opportunity to make great improvements to volunteering in NSW. I’m pleased to have the opportunity to update you on what the NSW Government has been doing in the volunteering space since I last wrote for the Voice of Volunteering in November. On 26 February I joined NSW Premier Mike Baird at Granville youth and community centre to launch the Premier's Volunteer Recognition Program. This initiative honours an important commitment we made, as part of the first NSW Volunteering Strategy, to improve recognition for volunteers across our community. During the consultations which led to the strategy, there was a common desire for more initiatives which allow for ad-hoc recognition to complement awards programs, such as the highly successful NSW Volunteer of Year Awards, run by The Centre for Volunteering. Adults who have a lifetime of volunteering experience (beyond 40 years). Nominations already have opened for the adult categories and local Members of Parliament will present the first round of Premier’s Volunteer Recognition certificates in the lead up to National Volunteer Week in May. The program will enable us to acknowledge and celebrate the contribution of more NSW volunteers than ever before in NSW. For more information, including about nominating a volunteer for recognition please visit www.volunteering.nsw.gov.au. 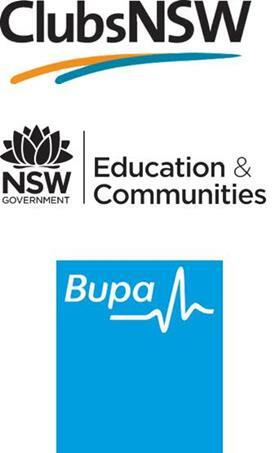 We have also recently launched a student volunteering mobilisation campaign, themed “Shape your Future NSW”. It aims is to increase volunteering rates among school students by enabling them to promote and share their volunteering experiences through social media. For younger people social media is a powerful means of communications and the key message to them is that volunteering is not just an activity for older people. We are encouraging students to start using their energy, enthusiasm and creativity to make a difference in their local communities today. Finally I’d like to take the opportunity to congratulate all the winners of the NSW Volunteer of the Year Awards held in December. In particular, I congratulate David Abrahams, the Senior and overall NSW Volunteer of the Year, who's story of a life dedicate to volunteering is an inspiration to all of us. I also commend Centre for Volunteering CEO Gemma Rygate and her team for staging such a tremendously successful event. On behalf of the NSW Government, I wish to sincerely thank you for the contribution you make to your community through volunteering. I look forward to continuing to work with you to promote and grow the sector. The Centre welcomes recent comments by the Minister for Social Services Scott Morrison which suggest the Federal Goverment's plan to abolish the ACNC may be put on the backburner. The Centre is posing the question: Is volunteering accessible to everyone? What are the volunteering trends for people from diverse backgrounds? Can new arrivals, refugees and asylum seekers volunteer? Be part of an engaging forum, led by an expert panel, which explores volunteering in NSW today, followed by networking opportunities. Please come along to an engaging forum we're hosting as part of the City of Sydney’s 2015 Living in Harmony Festival. It's being held on Thursday 25 March, from 2om to 4pm at Customs House, Sydney. The forum aims to promote social inclusion and diversity in volunteering. It is open to everyone who would like to patcipate in this discussion. To register follow this link. We know from our members that there is a lot of information and misinformation doing the rounds regarding the Work for the Dole Program. 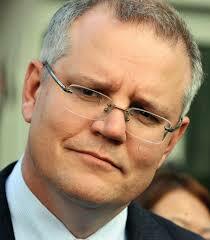 The Federal Government is running a pilot program at a number of locations across the state including Western Sydney. After the pilot, a full rollout is planned from 1 July this year. Some of you may have been approached or may be participating in this pilot. Our members tell us there is a lot of confusion, lack of clear information regarding the program and at The Centre we are collating all this information and learning exactly how this program will operate so that we can give our members up to date information so they can make informed decisions. We are very conscious that our members need a voice on this program that will affect them and the running of their operations. This is why we are putting together a quick survey for you to complete so that we have some solid data regarding the concerns of our not-for-profit members to take to the federal government. I urge you to take part in the survey we send you, so we can work together to make sure that Work for the Dole works for our sector. Volunteering Australia has launched the Give Happy, Live Happy web portal at www.volunteeringaustralia.org. The web portal helps us celebrate the vital work of more than 6 million Australian volunteers during National Volunteer Week, 11-17 May. To make things easy, they have provided marketing collateral for you to download and promote via your own channels, including some merchandise for sale. Follow this link to see how you can get involved, and how you can recognise volunteers in your organisation. Charities have the opportunity to receive $10,000 through the ClubsNSW People's Choice Awards. The annual People’s Choice competition recognises the club that has had the biggest impact in their local community and attracts thousands of votes each year. 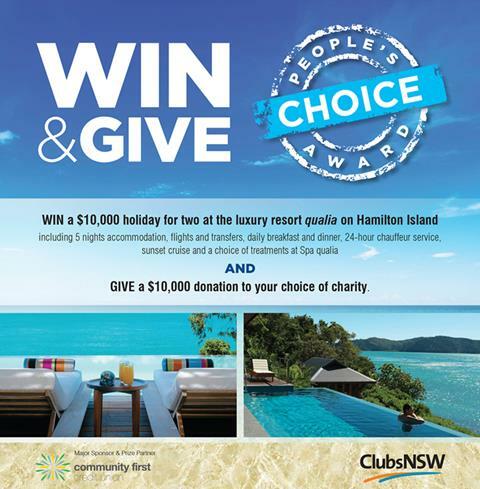 ClubsNSW is asking the general public to vote for both their favourite club and charity in the 2015 People’s Choice competition. This is a great opportuntiy to support your local club or charity, to be a part of the voting follow this link to find out more. P.S. Individual voters can win $10,000 to keep, plus the winning club wins $10,000 to put to their chosen charity. So, potentially, a charity could be given $20,000! Congratulations to our fabulous Ambassador, Paula Duncan, on her role as Jenny Krilich, in ABC's new drama, Hiding, which airs at 8.30pm every Thursday. It's riveting stuff! Thanks to Les, Valentine and Ruth for sharing your expertise on making collaboration work in a tight funding environment. It was a highly relevant topic and you gave us new approaches to take back to our organisations. A great way to kick off our 2015 networking events! Most of us know that providing training for our staff and volunteers is important. Training can improve an organisation performance and boost morale. However, most NFP organisation have a very tight training budget, which means rather than having a dedicated trainer or hiring external professionals, training is done in house by the accidental trainer. The accidental trainer is often a supervisor or manager whose role has expanded to include training and coaching, without having acquired the necessary skills, knowledge or attitude to teach. To assist all you accidental trainers, Belinda McFarlane a successful adult educator with over 20 years of experience has provided us with her top 5 tips for teaching or coaching adults. Tap into what the person already knows. Adults don’t like to be taught something they already know. Ask relevant probing and open questions to find out what they know and where the gaps are. This will give you a starting point to assist. The learning is the responsibility of the learner. Helping your staff create their own goal using the SMART principle will motivate volunteers to achieve their goal. Have you ever had a conversation with anyone who is in an emotional state? At home or in the workplace. How does this work out? Tip 3 is about being grounded before assisting someone, or if your buttons are pushed, have a strategy to take time out and continue when you are able to help. Provide timely and honest feedback. Knowing what to say and when to say it can often be tricky. Offering feedback from the perspective of how you feel and acknowledgement of others ideas is helpful. It’s not all about work, take time out to celebrate the wins of staff. How will you celebrate? It can be as simple as a congratulations card, having a coffee or some words of thanks. While these tips will hopefully put you on the right track the next time you deliver training, Belinda in partnership with the School of Volunteer Management also runs The Art of Teaching Adults Workshop. The workshop covers practical and simple to understand information that will help you develop the skills of your staff and volunteers. The next Art of Teaching Adults workshop is on the 25 March 2015; enrol now to secure your place. Attractive salary packaging options, plus extra paid holidays a year. The Centre for Volunteering is looking for an experienced training manager to run its RTO, which is a key arm of our organisation. Your priority will be to maximise the training opportunities offered through our RTO to members and other organisations. Reporting to our CEO, you will be responsible for the strategic and operational management of the RTO, including RTO compliance activities. You will manage a part-time staff member, external trainers, and relationships with key external clients. End to end Learning and Development skills - innovation, design and delivery. This is a role for an experienced RTO Manager or a 2IC who is ready for the next step in their career. The successful applicant has the opportunity to start as soon as possible. The role is based in Sydney CBD. It operates mainly in NSW with the potential to operate nationally. We love to hear your feedback, volunteering stories and ideas to help us improve The Voice.